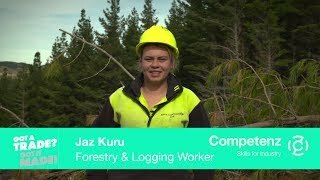 Engineering apprentice Simon Jackson is “ecstatic” after being named Steel Construction New Zealand Apprentice of the Year. 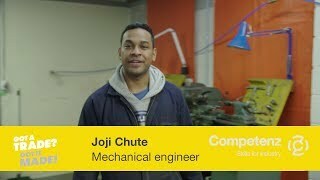 Simon is a fabricator at MJH Engineering in Lower Hutt and finished his apprenticeship in 2016. The award, sponsored by Weldwell, celebrates excellence among apprentice steel fabricators and recognises employees with skills, drive, commitment, innovation and agility. Finalists were assessed on a written entry submission, a practical exercise at MIT and face-to-face interviews with the judges. Simon says he was confident during the practical session as it tested his basic skills, however the interviews were “a bit nerve-wracking”. The award was presented at the Metals Industry Awards Gala Dinner at Addington Raceway in Christchurch on September 15, which Simon attended along with his managers from MJH Engineering. It was a night of celebration for the steel construction industry, and the award was presented in front of more than 220 guests. The runner-up was Bronson Pine from John Jones Steel in Christchurch. Competenz Product Portfolio Manager Peter Ferguson was part of the judging panel, along with Dean Pouwhare (D&H Steel Construction) Peter Hayward (HERA New Zealand Welding Centre) and Alan McClintock (HERA New Zealand Welding Centre). The judges said Simon and Bronson were of the highest calibre and demonstrated excellent attitude and aptitude that should make the industry, their companies and their families proud. It says a lot that they helped each other out during the practical exercise. The judges found it very difficult to choose between the two finalists and congratulated both on their efforts. Photo: (From left) Apprentice of the Year runner-up Bronson Pine, Weldwell regional sales manager Glen Meyrick, SCNZ chairman Bob Hawley and Apprentice of the Year Simon Jackson.